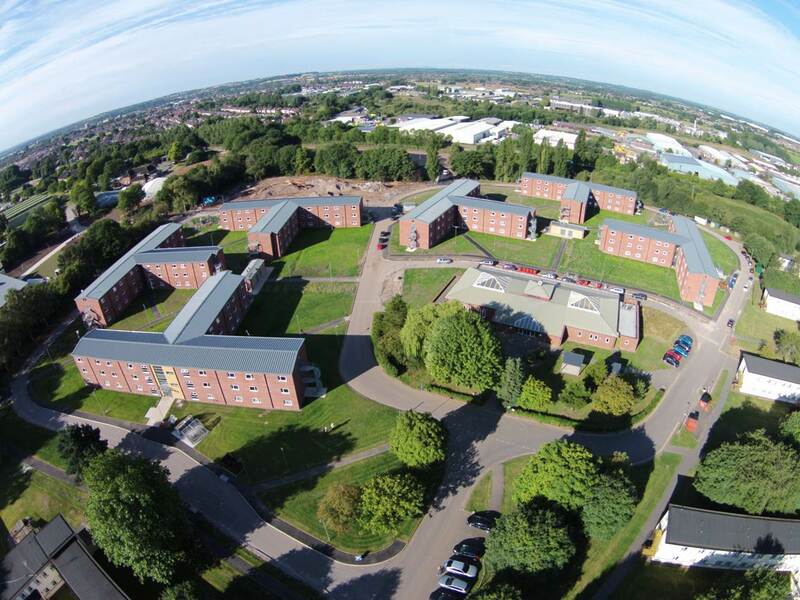 Lend Lease selected Premier Modular Limited as their supply chain partner when developing modular accommodation at Beacon Barracks to house 400 soldiers on their return home from Germany. Due to their significant capacity, high quality of product and the innovation they have brought to the sector, Premier was appointed to provide 6 Junior Ranks Single Living Accommodation blocks. Each 3-storey block comprises 45 modular bays and provides 72 bedrooms as well as communal areas, reaching a total of 432 bedrooms and 270 modular bays for the entire project. The modern methods of construction utilised by Premier meant that the modular buildings could be manufactured at a rate of 20 bedrooms per week, offering significant benefits to the construction programme. To alleviate health and safety concerns, Premier developed an innovative and improved lifting frame, based on an existing solution already in use, which allows operatives to work with optimum safety at height when installing modular buildings. The use of this lifting frame was applauded by Lend Lease’s European Health and Safety Manager and was endorsed globally by Lend Lease. The high volumetric approach of offsite construction as practiced by Premier is perfectly suited to this type of project. The production facilities available offer real benefits to the manufacturing programme, with the option to operate multi shifts to meet programme requirements as required.